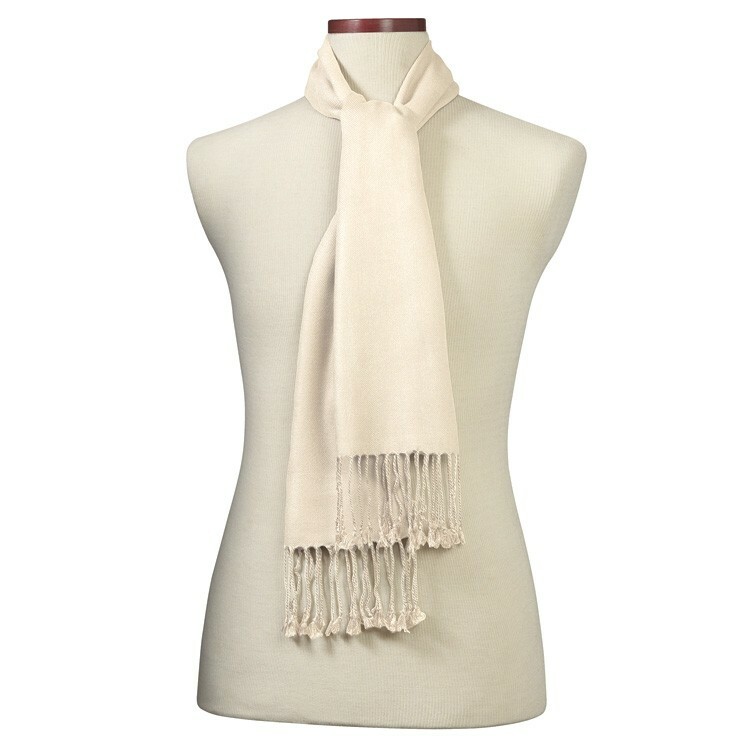 Give them something that's great for cold temperatures and the environment with this ivory bamboo winter muffler scarf! This 10" x 72" eco-friendly scarf is finished with a 3" rope fringe and a 4" x 4" imprint area. And, since they're made out of 100% bamboo fiber, you can feel great about adding your brand to this soft and luxurious unisex winter essential. Quantity discounts are available starting at just 12 pieces. Don't wait - get started with your order today! Bamboo mufflers are soft and eco-friendly. In stock and ready to ship. 12 piece minimum. Quantity discounts available. Individually poly bagged.